A kitchen island is a great addition to a kitchen, adding work space, storage and perhaps seating to the room. 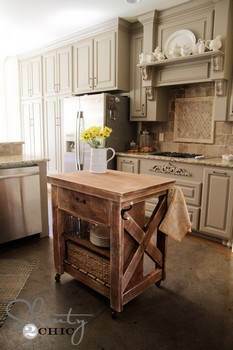 An island can be a permanent fixture, or be mobile, with casters or wheels for added versatility. 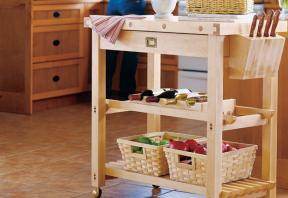 A kitchen that is too small to accommodate an island may still get the added space and storage it needs from a moveable kitchen cart. 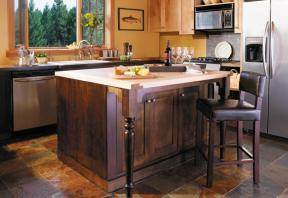 Free kitchen island plans can be customized to fit your space and needs, and the choices of wood and materials will allow you to make the island a focal point in the room or blend with the existing style of the cabinetry. Choose a marble, granite, tile or even butcher block countertop to make this an outstanding addition to your kitchen. 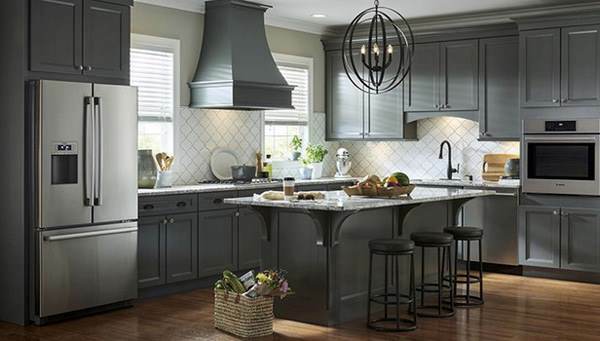 With one of these kitchen island plans, a homeowner can build a useful addition to the room at a fraction of the cost of ready-made units. 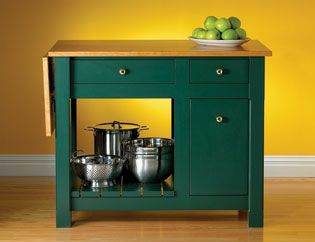 Build a useful and attractive kitchen island with two drawers, a trash bin, a drop leaf extended counter and open storage area under the counter. 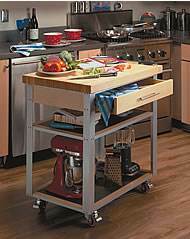 This kitchen island works great in a small kitchen as it only takes up approximately 6 ft of space and has wheels for ease of movement. 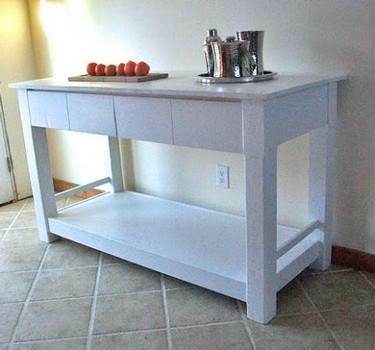 Build this wonderful kitchen island using this plan with material list. With these instructions you can build a kitchen island that will add style and convenience to any kitchen. 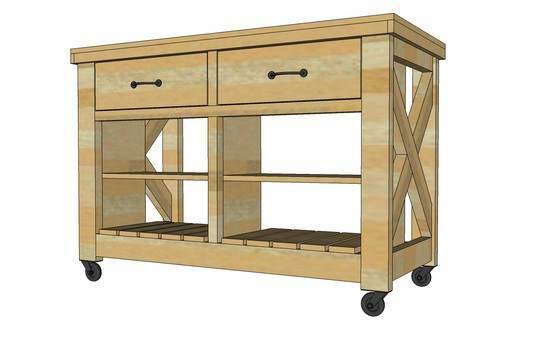 Build a rolling kitchen cart with a paper towel holder on the end with these plans. You can easily turn unfinished kitchen cabinets into a functional kitchen island using this detailed project. 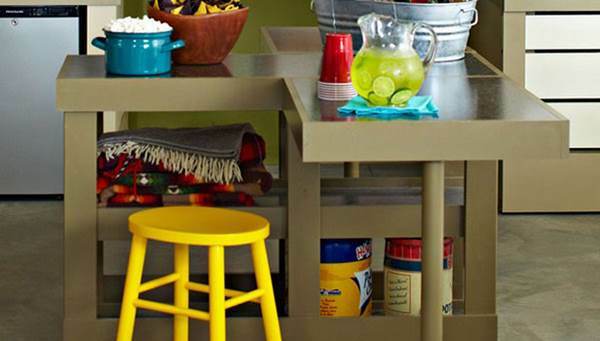 Build a kitchen island on wheels with a large 2-shelf storage area plus a chalk board front. 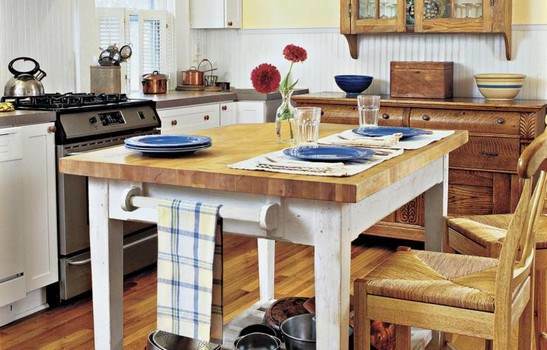 Build this white washed wooden island with a butcher block counter and open storage below. Here are detailed instructions for building an additional prep area for your cooking needs. 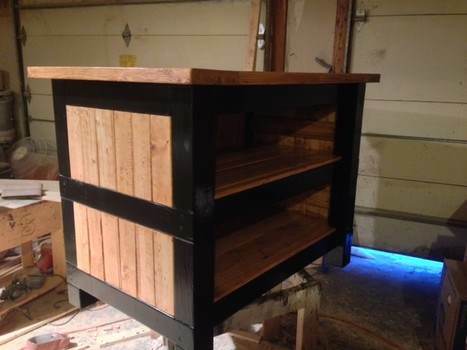 Add counter space to your kitchen using this project for an island made out of cedar wood. Create a handsome custom built island on casters with towel bar and ample storage. This project takes aged wood that is rich in wood grain and color to make the perfect addition to any kitchen. This T-shaped island has clean lines, open storage below plus a bar stool area for seating. 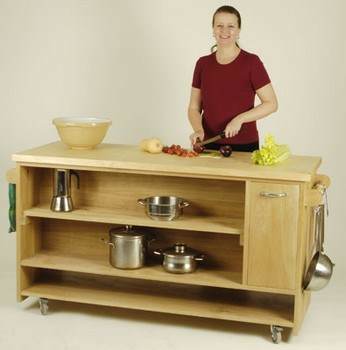 Build this mobile kitchen island with large prep area, open shelving, towel rack plus pot hooks. Here is a step by step tutorial for a simple island that can be stained or painted to match your kitchen decor. Here is a narrow wooden island with ample prep area, sliding cabinet doors plus appliance storage. This attractive island has a 36 x 48 inch butcher block counter and an open storage area below. This work area measures 60 inches long, has a pull-through drawer, open shelving and storage cabinet. 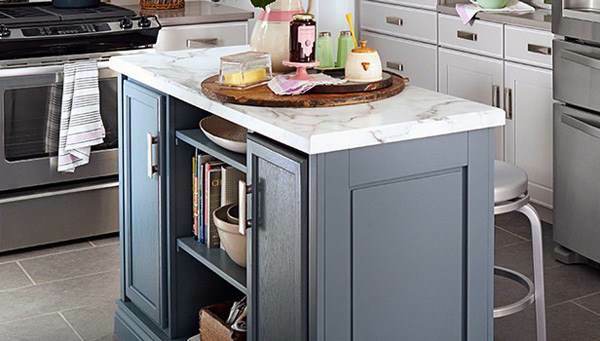 Build this handsome island that will add storage, prep area and dining space to your kitchen. This plan is for a peninsula that doubles as a bar area, has lots of open storage and counter space. Re-purpose a wooden cabinet by turning it into a functional kitchen island with ample storage and prep area. 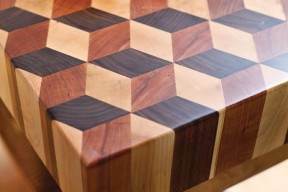 Here is a project for creating a butcher block island in three rich wood tones in a 3-D effect. This well built island with storage has an extended counter top for seating family and friends. Using hard maple or birch wood you can create a butcher block island with a wine and knife holder. 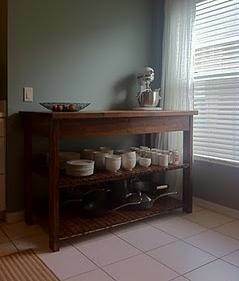 Build this solid wood island that features two large open shelves and a large counter top area. 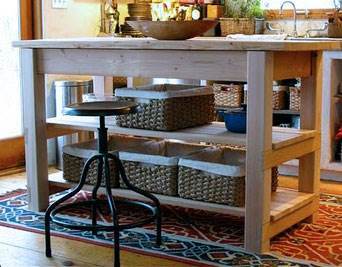 Build a sturdy kitchen island that has two drawers and a large storage shelf below. Create this rustic farmhouse island that features a bar area, two cabinets, two drawers plus open shelving. This functional island offers two large shelves, two sliding drawers and a wooden prep area. 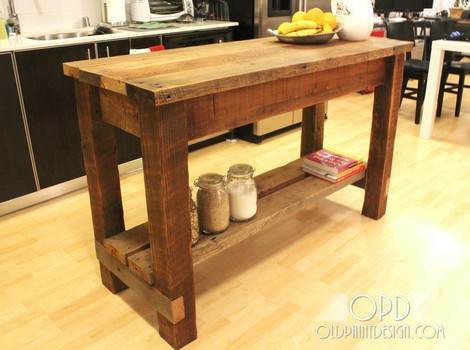 Here is a plan for building a farmhouse style kitchen island that will compliment most any decor. 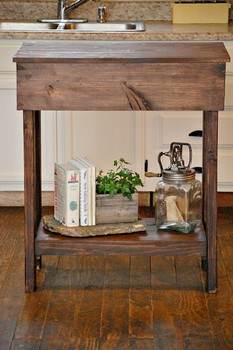 This budget friendly island with lower shelf has the look of re-purposed hardwood. Easy to follow plans for a island with X shaped sides, two shelves and a deep and wide single drawer. 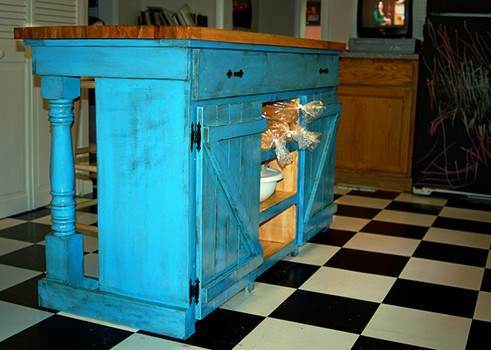 Create additional storage and food prepping area by building this handsome kitchen island. Cabinets, cupboards, even kitchen hardware. 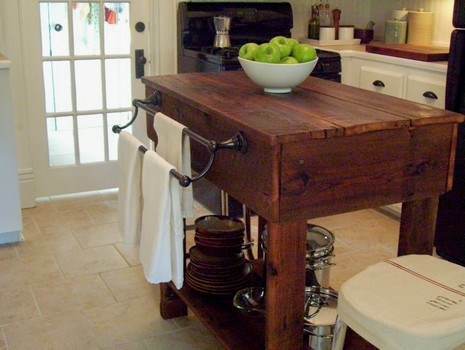 Build smaller items for your kitchen - shelves, carts, cookbook holders, knife racks. 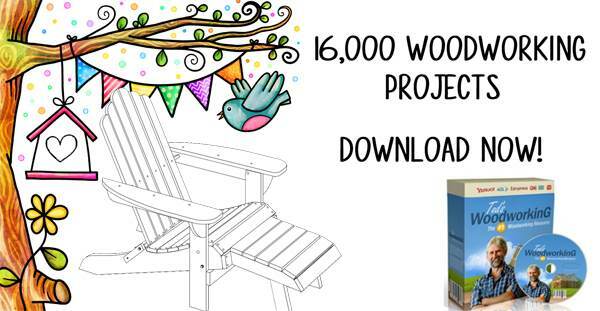 Build an outdoor kitchen with these plans. Accessories and parts for lazy susans. 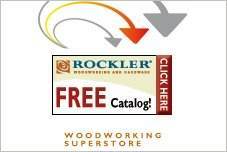 Browse all the purchase plans available from the top woodworking vendors.